If you cannot determine the most efficient way to satisfy the 2012 energy code, you may be wasting thousands of dollars on every design. For example, you can pump an extra $10,000 into a window package in order to comply with the code where you might have only needed to increase the attic or wall insulation. How would you know? Advanced energy modeling can pinpoint (to the dollar) where we need to be to satisfy the code. Where do we fit in? Desert Skies Code Compliance is on the cutting edge of residential energy efficient design. 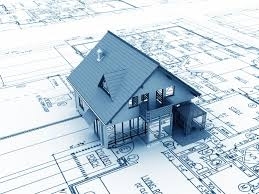 Using software only available to certified HERS Raters, we analyze each element of the design to determine whether the overall dwelling meets code. Often times, architects using REScheck cannot get their designs to pass but we can... without even altering the design! How is your analysis better than REScheck? Rather than focus on just the insulation values, we evaluate assemblies to give benefit for every aspect of the design-- be it a shear wall, air gap or a clay tile roof. It's all part of the code... just check out R402.1.3. Every architect should read the DSCC benefits article. What if my design still doesn't meet code? Take a deep breath. Sometimes a project needs a little more assistance. We include an hour of free consulting on each project and offer suggestions to meet the code without breaking the budget and saving the design. What's your ultimate goal? For each project, our goal is to preserve the design of the architect and to assist in designing the home in a manner that meets the energy code AND actually performs once constructed. To be clear, you can have one without the other. We take necessary steps to make sure that doesn't happen by evaluating construction materials and their applications. What are your rates? Check out our rates here. In some instances, we have saved our clients over ten thousand dollars in unnecessary upgrades to meet the energy code... or roughly 10-20 times more than our service fee.